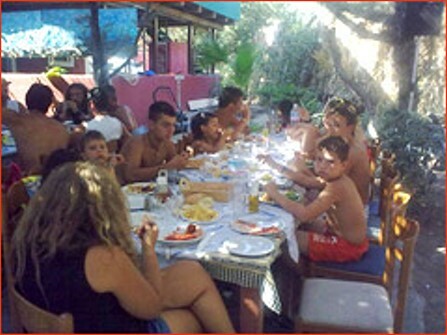 he "Dafni" tavern is located right by the sea on Dafni beach. It 's the first family-run tavern opened in Dafni. 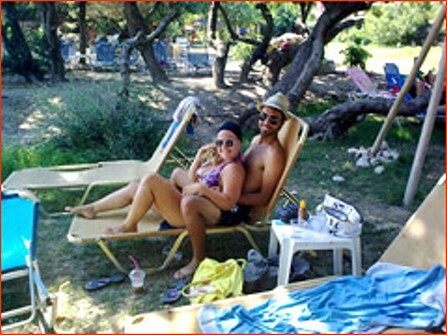 Dafni Beach is placed in the peninsula of Vassilikos facing the Gulf and from the beach you can see the islands of Pelouzo and Marathonissi well as all the gulf in the south of Zakynthos island. 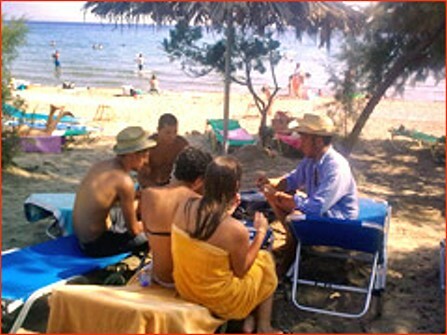 The Taverna Dafni has tables that overlook the sea and at the same time are under the shadows of the trees that allow you to enjoy your meal with a fresh breeze.